John Derbyshire Has A Dream Too—What If Whites Stopped Being Wimps? Perhaps that's a bit unkind, not to mention a bit ethnomasochistic. Of course not all white people are wimps. I know some white people who are not wimps. Heck, one of them is running for President. For sure, though, a lot of white people are wimps, and that lot includes well-nigh all white liberals. That in turn includes as a subset practically all white employees in college administration. Wimp-wise, actual college faculties are a bit more … how shall I say it? … diverse. In the Science and Math departments, my experience has been that while a vague liberalism predominates, most faculty just want to get on with juggling quarks or proving theorems and don't want to be distracted by all the political nonsense. The professional schools are similar, but with a higher wimpification quotient. The humanities are pretty solidly—I guess a better qualifier here would be "fluffily"—wimpified. Yes, there are non-wimps in academia, for example University of Pennsylvania law Professor Amy Wax, with whom I was once honored to share a public platform. During Wax's speech, about a dozen members of the [Union] … rose and walked to the back of the room, where they turned their backs on Wax and raised their fists in the air. Several students cried during her speech. But did you get that last sentence? "Several students cried during her speech." You could carve that on Western Civilization's tombstone. Here's another righteous academic: Dale Brigham, an associate professor of nutrition and exercise physiology at the University of Missouri. Professor Brigham, a white guy, had scheduled an exam for early this week. That was of course just when the race business blew up, accompanied by a threat on social media from a white lunatic who said he'd go on a shooting rampage against blacks. If you give into bullies, they win. The only way bullies are defeated is by standing up to them. If we cancel the exam, they win; if we go through with it, they lose. This was considered so outrageously insensitive, Prof. Brigham felt obliged to resign. As of Friday night, though, the university hasn't accepted his resignation, so possibly there are some non-wimps even in the administration there. Or possibly Prof. Brigham has learned to love Big Brother and is right now installed naked in a barrel at the football team changing rooms, I don't know. So no, we're not all wimps. The wimpification factor is high enough among whites, though, that non-whites and ethnomasochist white anarchists can get anything they want by targeting the plentiful supply of white pajama boys and girly-boys and their female auxiliaries. In some cases, as the Google doodle shows, the screechers and anarchists don't actually have to do anything. The pajama boys know what is expected of them and do it unprompted, either from commercial calculation or, Heaven help us, from actual sincerity. What would the world look like if white people were not wimps? Or at least, if the wimpified portion of the white population were a despised and impotent minority? Permit me to dream. Yale University, November 6th. Professor Christakis, when that potty-mouthed rich brat starts screeching at him, turns away grim-lipped and walks off to the university's administration office, where he files a request that she be punished for insulting and abusive behavior towards a campus authority figure. The university swings into action. Potty-mouth is suspended for a year and barred from campus. Her fees for the year are forfeited. Professor Christakis shows up at the faculty Christmas Party dressed as Nathan Bedford Forrest, to general applause. University of Missouri, November 8th. President Wolfe announces that by agreement with his board, and with support from the alumni association and the state legislature, the college football team is to be disbanded, all football fixtures and training programs canceled. Furthermore, the practice of bringing in low-IQ students for the college sports teams and signing them up for b-s courses like "Television Program Analysis and Criticism" in the pretense they are engaging in higher education, will cease as of this semester. Mountain View, California, November 11th. Google, Inc. has announced that it will abandon its diversity strategy. The company will no longer require employees to participate in unconscious bias workshops. Outreach programs to historically black colleges will be dropped, as will the partnership efforts with Hollywood studios to produce girl-friendly promotional movies about computer science. The Veterans Day Google doodle shows the U.S. Marines raising the flag on Iwo Jima. Malta, November 12th. Following the collapse of talks with African nations this week, the European Commission announced the following steps. All foreign aid programs to African nations from the EU and its member states will cease forthwith. 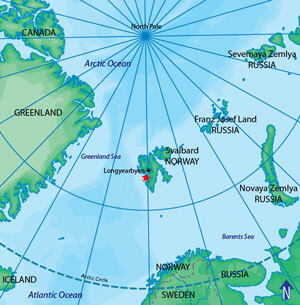 Citizens of African nations found to be in EU countries illegally will be interned indefinitely in camps being constructed in the Svalbard archipelago, in the Norwegian Arctic. The African shores of the Mediterranean will be intensively patrolled by ships of member nations. Unauthorized vessels will be intercepted and towed back to the nearest shore point, where they will be destroyed. Should such boats scuttle, survivors will be incapacitated with wrist and ankle cuffs, loaded into steel-hulled landing-craft, and towed to shore. That's a sample of my dreams—not dreams of "hate" or "harm," as the Cultural Marxist propagandists would have you think, but of a fair and just world. In my dream-world, no-one lets his judgment be warped by racial guilt. In this world, no-one is privileged on account of his race, and everyone understands that unequal outcomes by race are the fault of nobody but Mother Nature. Nations with open borders do not survive. All right, it's a dream world, and it's annoying to have other people tell you their dreams. I'm sorry. Forgive me. Please forgive me. I will do anything if only you'll forgive me. I am so, so sorry. On behalf of all privileged cisgendered white males everywhere, I humbly apologize. Won't you forgive me? Please, please forgive me.